Canarywood Bowl - Wood Turning Pens ..
Canarywood, usually from trees of the Centrolobium spp, is a tropical hardwood from Central and South America. I have worked with Canarywood in the past, mostly in pen blank form, but this is the first time I have successfully completed a bowl size piece using this wood. I was pleased with the ease of the overall process and satisfied with the outcome upon completing the work. As noted, wood marketed as Canarywood is usually from one of the Centrolobium spp, but in the United States market, there may be confusion about the exact origins of wood labelled as Canarywood. Some retailers and wholesale agents will also use this name to describe woods from the Persea genus as well as wood from the domestic Liriodendron, or even to describe woods from India such as Morinda citrifolia. In short, it may not be possible for a purchaser to know with exact certainty what a wood sold as Canarywood actually is at a genus and species level, or even its country or region of origin. If these points matter intensely to you, you might be better off choosing a different wood about which you can be more certain. If, however, you just like the look of the wood, then the fine details probably won’t matter much or at all. Canarywood is primarily prized for its yellow color which sometimes features distinct rings of red throughout the grain of the heartwood. The heartwood, which is usually quite distinctly demarcated, is of a paler yellow color when compared to much more intensely colored heartwood. Rarely, Canarywood may feature figure but the grain is more often straight. Endgrain pores are mild and tearout is minimal, although fairly intense sanding may be required if you demand a glassy smooth surface. The wood is of moderate hardness, slightly less than that of oak in general. It is reported to be easy to work with, sanding, gluing and finishing easily. I found that my piece of Canarywood cut easily and cleanly although the endgrain was still visible and detectable to the touch. I did note that the wood was prone to splintering when cutting but light cuts reduced this effect and it was easy to remove splintery areas once the larger hogging cuts were finished. To my surprise, given that the endgrain didn’t look too bad, it took longer to sand out than I expected, but once it was removed the wood sanded beautifully and achieved a very nice glossy finish with 800 grit paper. My piece did reveal three very small spots of insect damage in or near the remaining sapwood area on the outer edge of the bowl. I consciously chose to leave these natural imperfections in the finished piece although I could easily have cut them out without sacrificing too much in terms of diameter. However, I personally like these natural features that remind us that wood is a natural material and that it isn’t always perfect as we find it. These “imperfections” are part of the attraction for me, but I do find it wise to spell this out to people who might not know or understand this if giving such a piece as a gift. A personal note on nice paper that explains the process of bowl making and the character of the wood is often as appreciated as the piece itself. 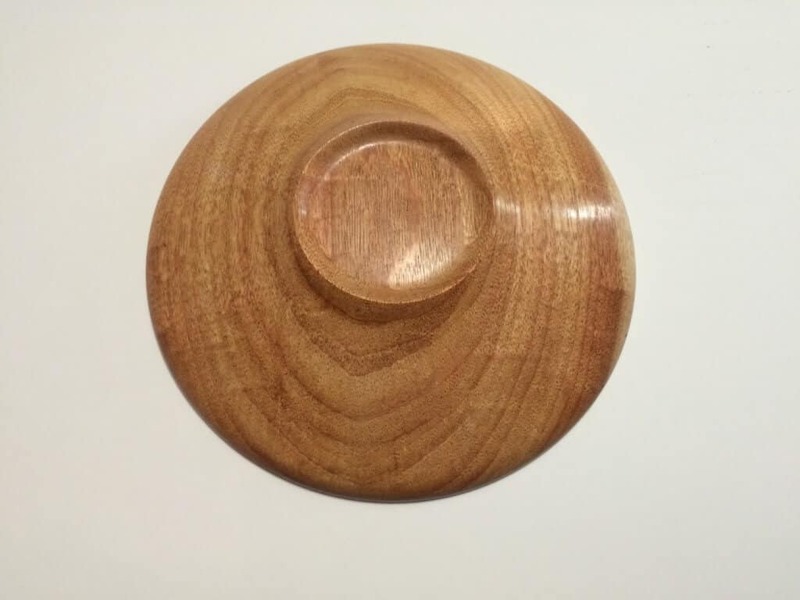 As is my practice, I used the Easy Wood Tools line Rougher and Finisher to make almost the entirety of the bowl, using a Robert Sorby skew chisel only to make the inward angled portion of the bottom divot used to mount on to the Super Nova2 Chuck for hollowing the interior. I used a combination of Abranet, Hi-Per Gold Wave, and Hi-Per Green Wave discs for sanding down to a final finish sand of 800 grit. As the final finish, I chose to use Shellawax liquid, which as the name implies is a combination of shellac and a wax. This finish is applied with the lathe turned off, and then the wet rag is held firmly against the wood while the lathe is spinning and moved over the entire finished piece until a good gloss finish appears. I greatly enjoy using the Ubeaut family of products and in this case a great benefit was that the finish is dry immediately so there is no waiting before reverse chucking and handling the piece as is the case with many other finishes that have drying and cure time, sometimes of several days. Overall, I found Canarywood to be one of the easier woods I have worked with in terms of workability and finish sanding. I encountered no great difficulties and the work went remarkably quickly. I am pleased with the overall coloration of the piece although I have seen pieces of Canarywood that have much nicer red streaks, which are essentially absent in this piece. But that is the nature of a natural material and you don’t always know what you have until you have invested time and effort into a piece. If you want predictable perfection every time there is always injection molded plastic, which I am fairly certain no reader of this site is interested in. 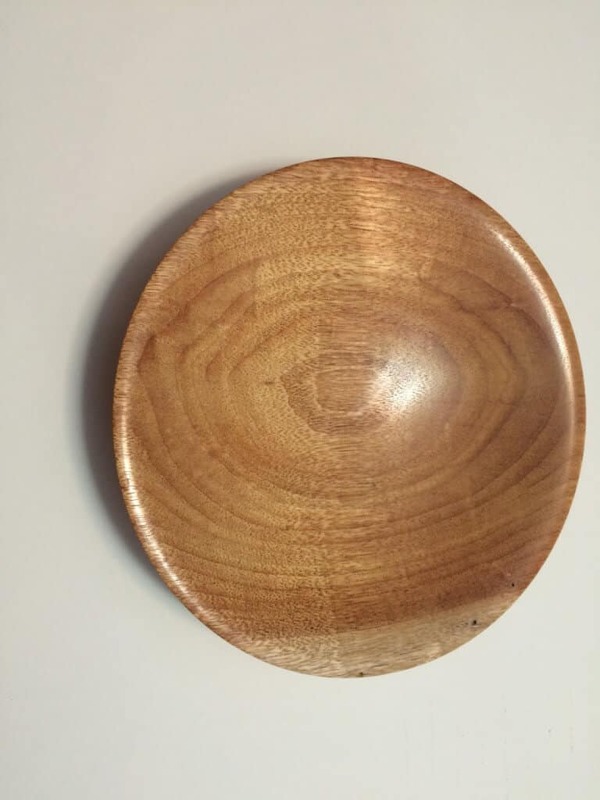 Canarywood is readily available, although not always quite so readily in bowl blank form, and it is moderate in cost, so I would recommend that any interested wood turner give it a try and find their own experiences of Canarywood as soon as their time and interests permit. Fogmaster Jr fogger . Effective to apply mold cleaners.